The need: Many dairy farms in Australia are run as share farms where the assets, costs and returns generated by the farm business are shared by two or more parties. This must be done in a way that is financially fair and legal. This work was established the industry agreed framework for contemporary share farming relationships so dairy farmers can better understand the key elements for success and business risks. 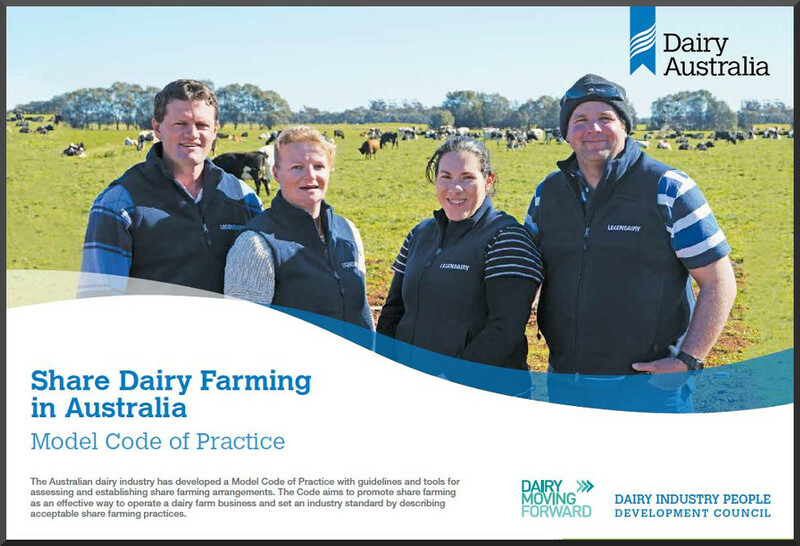 What we did: The Harris Park Group coordinated a research exercise (an analysis of 20 share farming arrangements) and facilitated the Working Group discussions to create the content for the dairy industry’s Share Farming Model Code of Practice.